Pack your bags, because the Zeta chapter has officially moved into 714 Techwood Drive! On Saturday, October 13, the brothers will be hosting a house opening event. 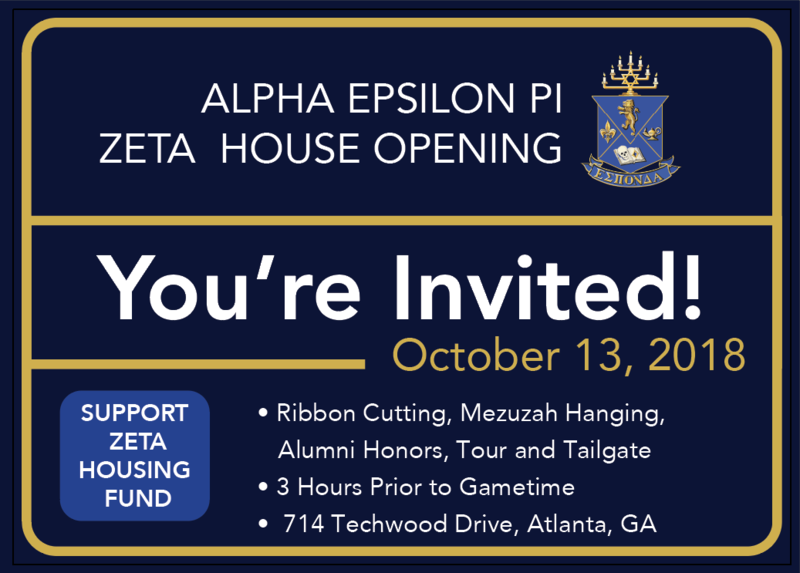 Join us for the ribbon cutting ceremony, mezuzah hanging, tour and tailgate before the big game versus Duke. We can’t wait to see you there! To RSVP for the event, contact Program & Special Events Director Lynsie Morgan at lynsie@aepi.org.